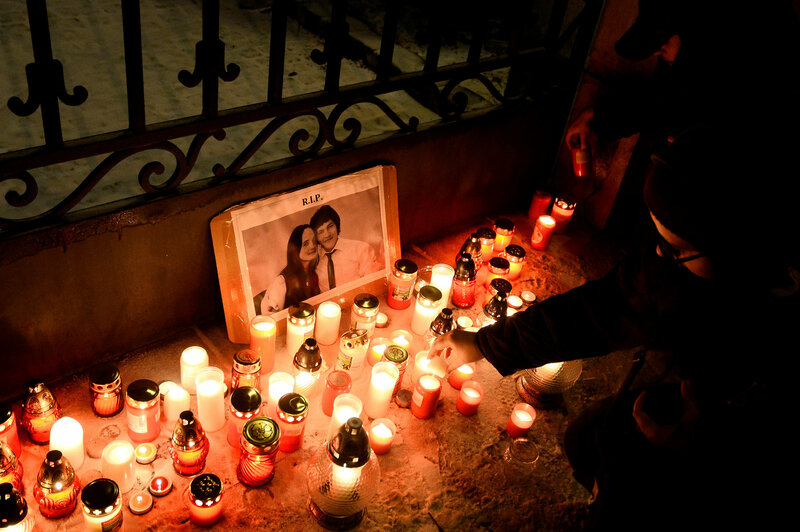 The killings of Mr. Kuciak, who worked for Aktuality.sk, a news website, and his fiancée come less than six months after a car bomb killed another journalist, Daphne Caruana Galizia, in Malta. She was also investigating government corruption. The killings have raised concerns across the continent about threats to a free press at a time when journalists are already under almost daily verbal assault from populist leaders. 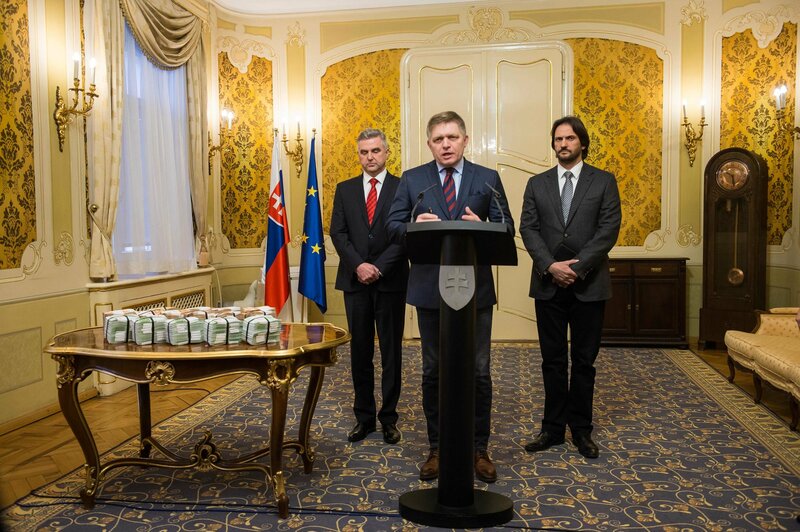 Slovakia has been one of the biggest cheerleaders of the European Union, even as leaders from Poland to Hungary to the Czech Republic have presented different challenges to the cohesion of the bloc. After the murders, he has not reflected on his past rhetoric. Instead, Mr. Fico has decided to adopt some of the conspiratorial language of the leaders of neighboring countries. This week, Mr. Fico found a familiar foe to blame for his problems, telling the public that the globalist George Soros was behind efforts to undermine his government. In turn, Mr. Fico accused Mr. Kiska and the news media of “dancing on the graves” of the victims. After saying he would pay a bounty of one million euros to anyone who helps find the killers, Mr. Fico called a news conference where he laid bundles of cash on a table as evidence of his seriousness. Critics saw the move as a further reflection of a mob mentality where cash can solve any problem. Michal Vasecka, the director of the Bratislava Policy Institute, said that the prime minister has succeeded only in stoking more outrage. 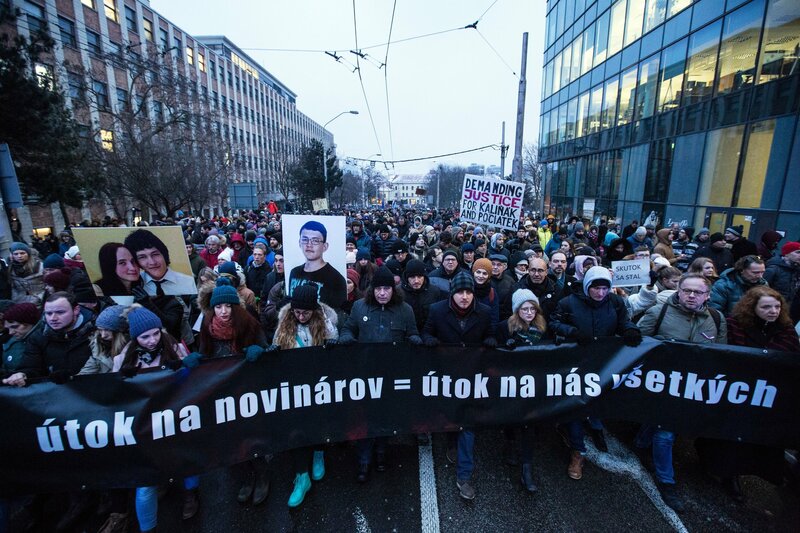 One week ago, thousands took to the streets mainly to mourn Mr. Kuciak and Ms. Kusnirova. On Friday, organizers planned street events again — this time not in sadness but in anger. The public frustration could be seen at the dozens of shrines that have popped up in towns and cities across the country, where photos of the young couple look out over a mass of candles, flowers and signs calling for change. Many of the shrines were placed under commemorations of the Velvet Revolution in 1989, when the country broke free from the Communist bloc. Sona Szomolanyi, 71, a professor of political science at Comenius University in Bratislava, said the atmosphere felt similar today. Corruption has long bedeviled Slovakia, which is a member of both NATO and the European Union. Intrepid local journalists have exposed all manner of malfeasance over the past two years, but there have been virtually no prosecutions of top officials. The government’s response to accusations — “the deed did not happen” — has been repeated so often it has become a bad joke. When thousands of protesters took to the streets last year, they carried banners with the words in bold letters. But there is no denying the deed now. While corruption may have once seemed complicated and abstract, the deaths have made it real. “All the dirt has come to the surface and is now visible and personal,” Dr. Szomolanyi said. Indeed, before he was killed, Mr. Kuciak had found that the model turned government adviser, Maria Troskova, was connected to an Italian businessman, Antonino Vadala, fond of racing his Lamborghini along the remote roads where he lived in the Slovak countryside. The two had lived together, and founded a company together. Mr. Kuciak also discovered that Mr. Vadala had been named in Italian court documents in connection with the ‘Ndrangheta, the Calabrian organized crime syndicate. He uncovered links between Mr. Vadala’s business dealings and top government officials and indications of a scheme to embezzle European Union funds meant to bolster agriculture in the country. Mr. Vadala did not answer questions when reporters visited his house, but he denied any connection to organized crime or any wrongdoing in an interview with a local paper. Ms. Troskova, who has stepped down from her government job, has also denied any impropriety. Far from being frightened into silence, journalists at Mr. Kuciak’s website Aktuality have picked up where his reporting left off. Peter Bardy, the editor in chief, sat in a conference room turned war room at Aktuality. On one wall were a dozen photographs of people suspected of being involved in shady dealings — from businessmen to top officials. Nearby, was a diagram linking Mr. Vadala’s companies to politicians and other businessmen to government officials. It makes for a spider’s web difficult to untangle. But Mr. Bardy said the journalists owed it to Mr. Kuciak to keep digging. 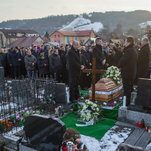 Mr. Kuciak’s investigation was undertaken with the support of several international organizations, including the Organized Crime and Corruption Reporting Project, and a special newsroom has been set up Bratislava, open to journalists from around the world. “We are sharing our information with any journalist who wants,” Mr. Bardy said. There are now armed police in the lobby of Aktuality, a new reality in a country that had thought of itself as having moved a long way from its socialist past and the wild early days of democracy. But Dr. Szomolanyi said there was a ray of hope to be seen in the current mess.